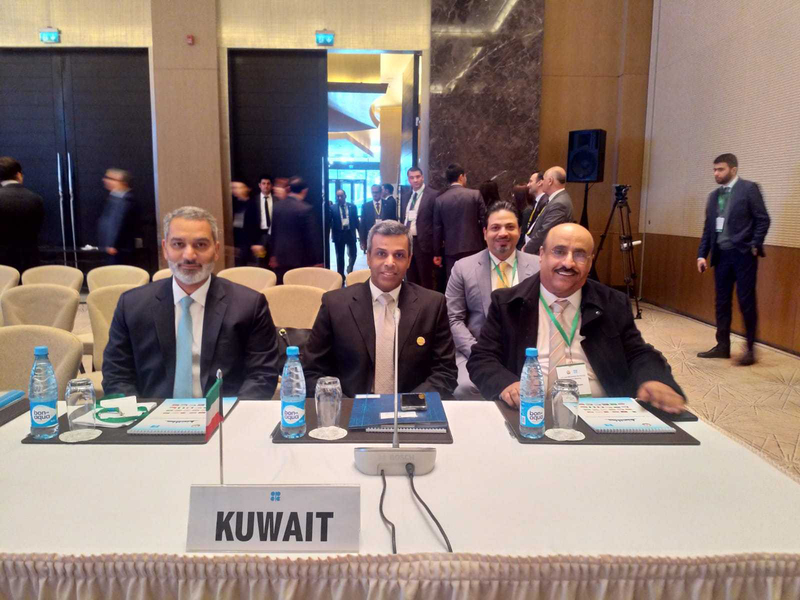 MOSCOW, March 18 (KUNA) -- Kuwait's Oil Minister Khaled Al-Fadhel participated in the 13th ministerial meeting of the joint monitoring committee of OPEC and non-OPEC members in Azerbaijan's capital, Baku. Al-Fadhel stressed Kuwait's commitment to reduce its production in accordance with OPEC and non-OPEC cut-off agreement, saying the data showed that Kuwait's commitment was in line with the level of GCC countries'; to more than 100 percent. On the sideline of the gathering, the Kuwaiti minister held bilateral meetings with energy ministers of Saudi Arabia and the UAE. Moreover, he met with OPEC Secretary General Mohammad Barkindo and discussed bilateral relations with Azerbaijani energy minister.